Tis the sound our snacks make. Or at least a lot of our snacks do. 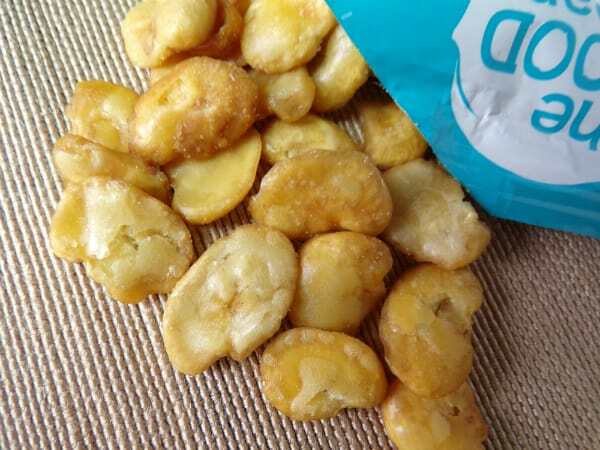 We love our snacks with the satisfying crunch. Potato chips. Pretzel. Tortilla chips. Crunchy cheese curls. Go look in your pantry right now. I bet you can find something to crunch on. Take a moment if you like. This blog post will be still waiting for you. Enjoy the satisfaction of crunchy food! Our snack aisles are full of crunch. Is all that crunchy healthy for us? A lot of the options, I would say no. Can you get a satisfying crunch and some nutrition to boot? Yes. Some good choices for that are made by the Good Bean. So let-go of the standard gas station fare and le-gume instead! 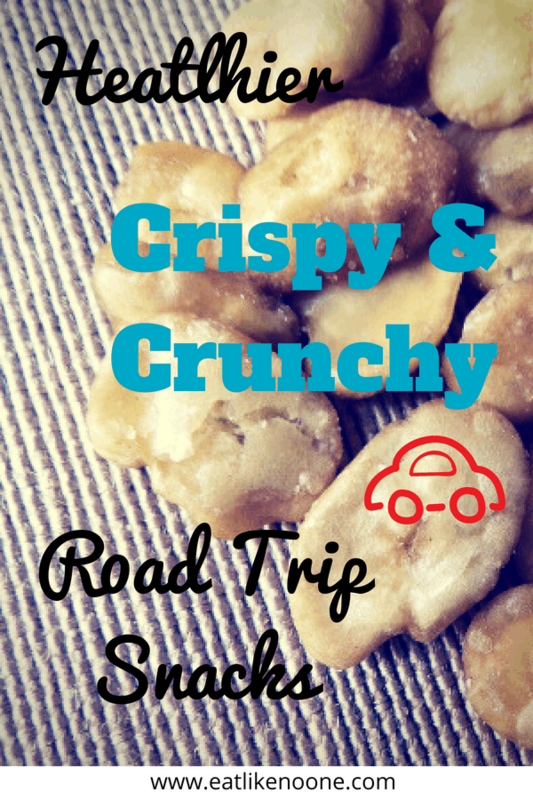 Welcome to the next post in the series on road trip snacks we like to call Hit the Road Snackin‘. Don’t those look super crispy. Just in case you haven’t heard the term legume before, let me define it for you. Legumes are plants part of the family Fabaceae that are grown for their seeds. Peas, beans, peanuts, lentils, are all examples of legumes. Legumes are a source of protein, fiber, carbs, minerals. They got nutrients our bodies need. Many of us eat them in their fresh form like green beans and peas. Many of us enjoy them in the form of lentils, peanuts, and dried beans. While you certainly could snack on raw green beans in the car, most of us aren’t going to. We also certainly aren’t going to eat hard dried beans in the car, unless we wanted to take a side trip to the dentist. Some people are allergic to peanuts, so they are out. Legumes can be made crunchy and road ready. That is what the Good Bean does. Chickpeas or garbanzo beans have been available roasted and crispy for years. They are becoming more common in the U.S. along with now seeing other legumes like peas and fava beans (also known as broad beans) given the same treatment. You get a crunchy snack and protein all at the same time, what a deal! 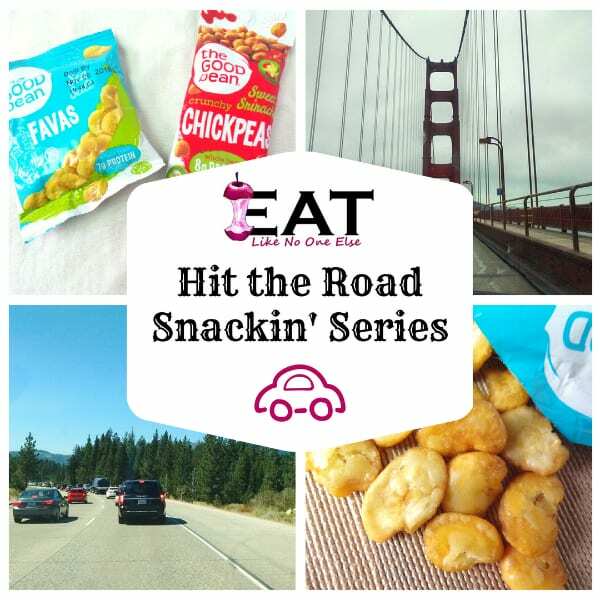 These snack sized packets are perfect to take on the road. Throw them into your bag for a quick snack full of protein. Who is the Good Bean? 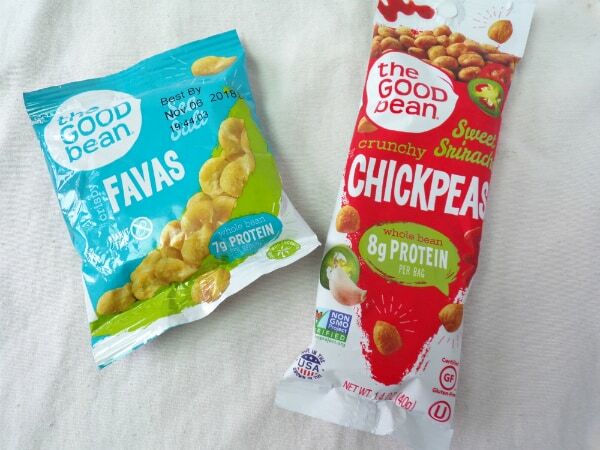 The Good Bean is the brain child of company founder, Sarah Wallace. It goes back to her childhood. She grew up in India. After school she would buy a paper cone of roasted chickpeas from a street vendor. That experience stuck with her and after years working in natural foods, she saw the increased demand for crunchy snacks. Thus the Good Bean was born. I love how Sarah took something from her childhood, something she was passionate about, and turned into a real life career. This is how some of the best companies start. Those that have a passion that is rooted (or in this case, roasted) in childhood. A crispy bean that is full of flavor and crunch. The Good Bean has several products to chose from. I have selected two of them to review for this post. First up is Sea Salt Crispy Fava Beans. Fava Beans are not that well known in the U.S. like that are in countries over seas. The Fava bean plant products big pods with large beans inside. You can either eat the bean inside fresh after being cooked, or you can use them in their dried form. These crispy Fava Beans are just that crispy. The crunch is outstanding. Fava Beans have a rich flavor to them, more so than just getting green beans or cooked dried beans. The crispy Fava Beans have that flavor to them but it’s not too overwhelming. The kids tried them as well. I don’t think they were in love with them but they were willing to eat them and probably would try them again. 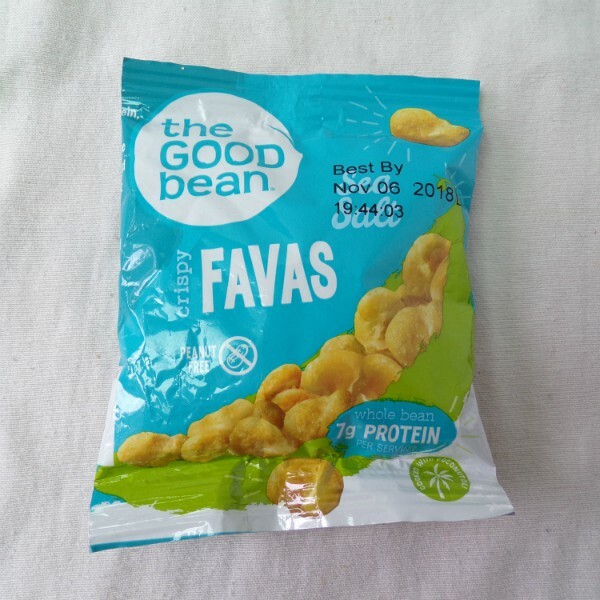 Get Good Bean Sea Salt Crispy Fava Beans send to your doorstep! The perfect way to take your love of Sriracha on the road. The Good Bean did not want to miss out on the Sriracha craze that has been sweeping the nation. Thus their Sweet Sriracha Crunchy Chickpeas were born. The crunchy chickpeas are really good with a nice mix of sweetness and spiciness – not too much of either. In case you are not familiar yet with the flavor of roasted chickpeas, think about the last time you had hummus. Hummus is made from chickpeas and usually Tahini (sesame paste) as well. 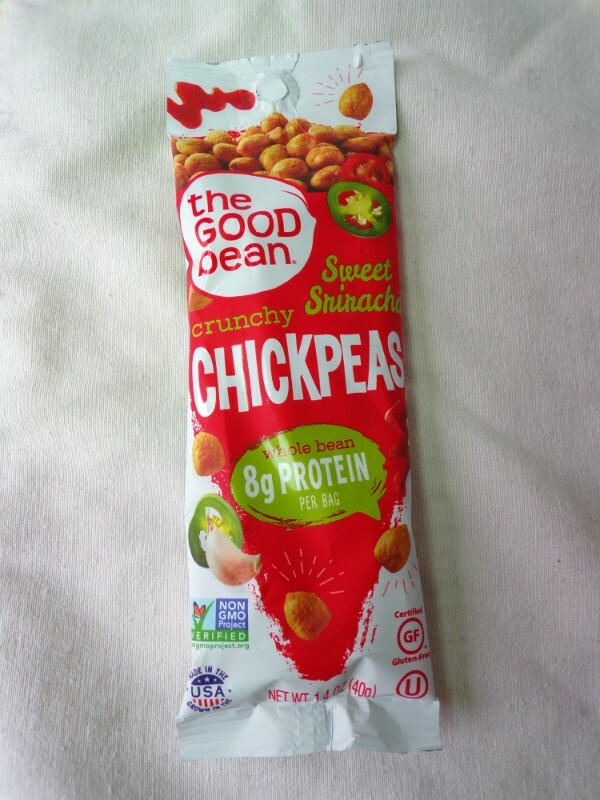 Get Good Bean Sweet Sriracha Crunchy Chickpeas send to your doorstep! I like to have salads when I travel. I purchased a Rubbermaid Salad Container that makes it easy to pack a salad and throw it into the cooler. It has separate sections for the salad, toppings, and dressing. Any of these products from the Good Bean make for amazing salad toppers. I use them in place of croutons. Great way to add protein to a salad without having to use meat. This picture may not seem very interesting but give me a moment to explain. I love visiting farmer’s markets when I am on the road. I totally would take a trip that was just about visiting farmers market. It’s the perfect way to experience the food in the region. Every farmer’s market I have been to in different parts of the country have been different. 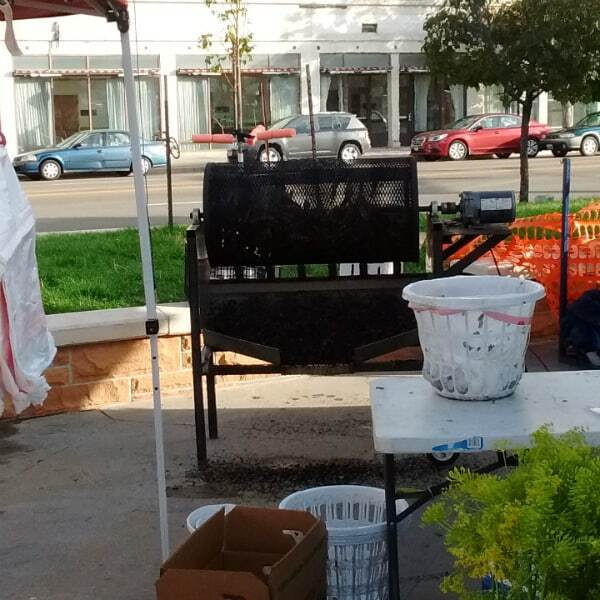 This is a picture from the farmer’s market in Cheyenne, Wyoming. What you are looking is peppers roasting. The smell was intoxicating. I have never experienced this at a farmer’s market before, never here in Michigan would you see that. It is was worth stopping by just for that smell. Previous Post: « What to Do About a Peach Fuzz Allergy?